Sassy and classy is what I'm going to be when I grow up! I really don't want to take this sweater off! It's so soft and warm, just like my Be Brave sweater that my siblings and I have! My mom puts me in this sweater with jeans and my slide on shoes and I'm happy all day! 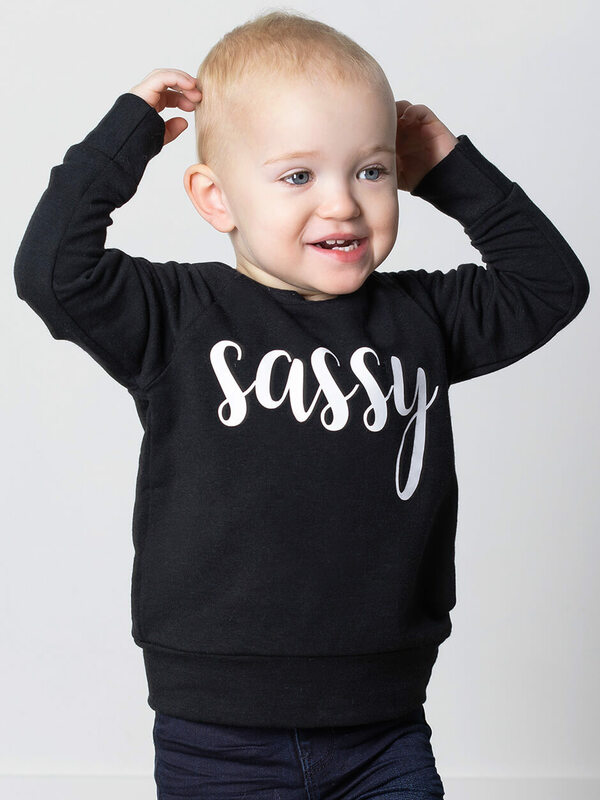 My mom calls me sassy all the time so I totally know why she bought this sweatshirt for me! I love how soft and stretchy it is, this is definitely going to be one of my go-to's when I'm deciding what to wear in the morning! My dark jeans go best with this sweater so I will be wearing those along with it!